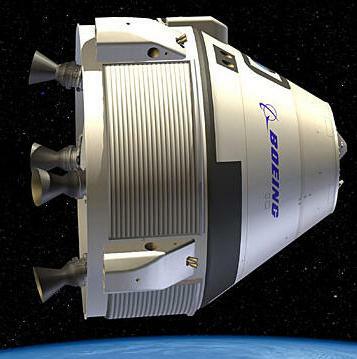 October 22, 2013 – Boeing has finalized an agreement with Space Florida to use a processing facility at NASA’s Kennedy Space Center to build the Crew Space Transportation (CST)-100 spacecraft, an important step toward restoring the United States’ ability to launch humans into space. “The resources and expertise on the Space Coast are essential to our plans and this agreement solidifies our partnership with the state of Florida,” said John Mulholland, Boeing vice president and program manager, Commercial Programs. Renamed the Commercial Crew and Cargo Processing Facility (C3PF), the former space shuttle hangar known as Orbiter Processing Facility-3 is being modernized by Space Florida to meet requirements for building the CST-100 capsule. Space Florida is the state’s independent agency for aerospace development. Phase one of the C3PF renovation was completed in February; phase two began in September with improvements including technology upgrades to the environmental and electrical systems and reflooring the facility. Boeing expects to move into C3PF in spring 2014. Boeing’s Commercial Crew Program is on track for an expected 2016 test launch time frame, with work continuing in Houston, Huntington Beach, Calif., and Florida. In partnership with NASA, Boeing is continuing to develop the CST-100 with the successful completion of water-recovery tests. The company recently unveiled the full-scale CST-100 mock-up to the world in Houston. Boeing’s CST-100 spacecraft will shuttle astronauts to low-Earth-orbit locations such as the International Space Station and expandable space habitats being developed by Bigelow Aerospace. The CST-100 is designed to accommodate up to six crew members or a mix of crew and cargo.